Here's where to watch every episode of Z-Cars season 1. Mouseover or tap an episode to see where to stream it. Click or tap the play icon to stream it on the best available service. Four Of A Kind Jan 2, 1962 The search is on for four young men to ""crew"" the new cars in the tough and troubled district of Newtown, a North of England overspill estate. A mixed community, displaced from the larger towns by slum clearance, has been brought together and housed on an estate without amenities. The Limping Rabbit Jan 9, 1962 A girl disappears, and Steele and Lynch are faced by a conspiracy of silence in her broken family. Handle With Care Jan 16, 1962 An explosion in a quarry disturbs two lovers. It also disturbs Detective Sergeant John Watt when he finds out what caused it. Stab In The Dark Jan 23, 1962 A wounding case brings top brass into Victor Division to investigate. Lynch and Steele work overtime to find the villain. Big Catch Jan 30, 1962 When the whalers hit Seaport after a good season Smith and Weir have their work cut out to keep trouble to a minimum. Friday Night Feb 6, 1962 ""It's going to be one of those nights"", pronounced Sgt. Percy Twentyman, and he wasn't far wrong. Steele and Lynch have to cope with the aftermath of a traffic accident in which a drunken driver has killed a motor cyclist and his pillion passenger. Small time felon Grandpa Maddigan blows up the safe in the Gas Company office, Watt and DCS Robins are hot on the trail of the notorious Comber gang, and Twentyman himself gets more than he bargained for when he tries to break up a free-for-all in the Tabernacle pub. Suspended Feb 13, 1962 The crew of Z-Victor One waste no time in arriving at the scene of a burglary. Their reward is to be suspected of theft themselves. Family Feud Feb 20, 1962 When two feuding families go to war Lynch and Steele find themselves in the front line. Fire! Feb 27, 1962 The report of a burning barn takes Smith and Weir into the country, searching for a fire-raiser. Threats And Menaces Mar 6, 1962 In Victor Division the police often live next door to unruly members of the community. Bob and Janey Steele find that this can have unpleasant, even dangerous, consequences. Jail Break Mar 13, 1962 What is a mysterious stranger from Soho doing in Victor Division? John Watt would like to know, and keeps a close watch on him. Smith and Weir are heavily involved in the tracking down of money previously stolen in a mailbag robbery. Both events are triggered by a successful jail break. What Kind Of Hero? Mar 20, 1962 A young man risks his life to save that of an accident victim trapped under an overturned road tanker, then disappears quietly. One of the bystanders, a retired army officer, pesters Barlow to trace the man and see that he gets the recognition he deserves. Barlow eventually finds the reluctant hero, only to discover that he is an army deserter wanted by the Military Police! Sudden Death Mar 27, 1962 When a case of murder is reported Lynch and Steele are the first policemen on the scene. But the main responsibility for organising the hunt for the killer falls on Barlow, whose toughness is backed by vast experience and an intuitive mind. Found Abandoned Apr 3, 1962 Smith and Weir answer a call and find an abandoned baby. 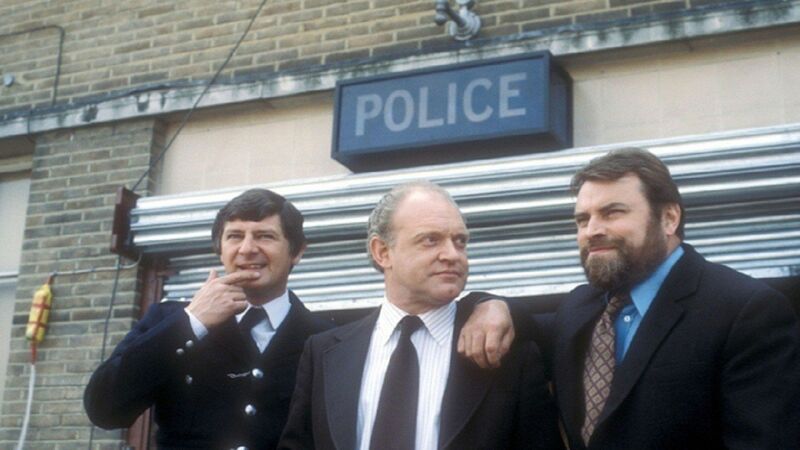 They bring it along to the station, where Inspector Dunn is in charge in Barlow's absence. The Best Days Apr 10, 1962 Lynch and Steele have their hands full when a gang of boys break into a school and smash up the headmaster's study. But the hooliganism doesn't stop there. When they are disturbed by the caretaker the oldest member of the gang attacks him and leaves him seriously injured. Invisible Enemy Apr 17, 1962 When a gas meter is broken into in a big block of flats Weir and Smith think their hunt is only for a petty thief. What they encounter, though, is someone much more dangerous. Down And Out Apr 24, 1962 A drunk causes a disturbance, two thieves break into a pet shop - and Steele and Lynch end the night at knife-point. Further Enquiries May 1, 1962 Weir stops a car driving without lights, the first event in a night which brings 'important' people in the county to Newtown police station. Winner Takes All May 8, 1962 A race track tout forgets to pay his alimony, and Steele and Lynch discover an ingenious fraud to beat the bookies. People's Property May 15, 1962 It's a busy night for Smith, Weir and Sergeant Watt when burglary is rife. Hi-Jack! May 22, 1962 At Pete's Caff Steele and Lynch report ""off watch for refreshments"". While they are eating and talking to Steele's friend Les Fielding his lorry is hi-jacked. Incident Reported May 29, 1962 Fancy Smith first meets Stan Carron in the Tabernacle pub where Carron is causing a disturbance. They have an argument. The second time they meet Carron is in no state to argue and Smith starts a long night's work. Never On Wednesday Jun 5, 1962 For two years Barlow has been trying to catch a Newtown thief. When DCS Robins takes a personal interest the pressure is on for everyone - particularly Steele and Lynch. Day Trip Jun 12, 1962 A charabanc outing, a halt at a pub and an exponent of the three-card trick: this is how a day at the seaside begins. It ends in violence. Affray Jun 19, 1962 Two men claim the same prize and trouble begins. When Lynch and Steele are called there is an unexpected development and a policeman dies. Contraband Jun 26, 1962 The prospect of a 'finder's reward' in a dockland smuggling case makes Smith and Weir eager volunteers for extra duty. Teamwork Jul 3, 1962 Just when the crime figures are levelling out one man pushes them up and up with a series of aimless break-ins. When Steele and Lynch lay hands on him but let him escape Barlow, Watt and Dunn are ready to lay hands on them! Appearance In Court Jul 10, 1962 Catching a thief is only the beginning as far as the police are concerned. When Smith and Weir have to justify their action in court the truth is made to look slightly less than the whole truth. Assault Jul 17, 1962 Barlow is investigating a case of assault. Betty Ancoats accuses four youths of attacking her, but one of them, Hogan, who has a reputation for violence, denies any knowledge of the crime. Unconditional Surrender Jul 31, 1962 Barlow initiates a campaign against the Cruddock brothers and their gang. The Z-Cars engage in 'Operation Harassment' and a state of total war develops.